Sonoma Magazine recently released its much-anticipated list of the area’s top doctors. The popular guide was created to assist individuals find exceptional healthcare services in Sonoma, Napa and Marin County. For the third year in a row, Plastic Surgery Associates’ own, Heather Furnas, MD and Francisco Canales, MD, were named as Top Doctors for 2018. Sonoma Magazine’s list of Top Docs is published annually. These esteemed doctors are nominated by their peers throughout Northern California. The magazine’s rigorous selection process is overseen by a third-party, Professional Research Services (PRS). This independent group meticulously reviews each of the nominees’ backgrounds including their training, education, hospital affiliations and professional activities. Ensuring each doctor has a clean disciplinary record, PRS verified their current license from the Medical Board of California and any additional board certifications. The physicians with the most nominations and highest credentials are named as Sonoma Magazine’s Top Docs. Among the 2018 winners are doctors working in medical specialties that include addiction medicine, allergy and immunology, cardiology and gynecology. Plastic Surgery Associates is honored to bring home the Sonoma Magazine Top Doc award for their work in Plastic and Reconstructive Surgery. Providing more than just aesthetic results, Plastic Surgery Associates understands their cosmetic surgery procedures make a deep, long-lasting impact on the men and women coming in the office. Dr. Furnas explains, “In our experience, patient’s concerns are rarely about vanity. Usually the come in with a distraction or some kind of discomfort,”. She then continues, “Sometimes those changes (no matter how large or small) give our patients the boost that changes their lives.” Their commitment to achieving each patient’s desired results is what continues to make Dr. Furnas and Dr. Canales the area’s top rated doctors. Dr. Furnas and Dr. Canales founded Plastic Surgery Associates in 1992. Both board certified plastic surgeons, Dr. Furnas is a graduate of Stanford University and UCLS School of Medicine. She began her career on the faculty at Harvard Medical School and on the staff at Beth Israel Hospital in Boston. Dr. Canales is an alumnus of Harvard University and Stanford University School of Medicine. 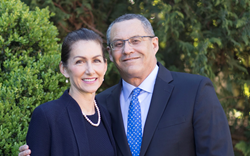 He has served as a plastic surgery faculty member at Harvard Medical School, Chief of Plastic Surgery at Santa Rosa Memorial Hospital and Chief of Surgery at Warrack Hospital. The husband and wife team decided to open their private practice in beautiful California wine-country. Today, their plastic surgery practice brings patient the choice of innovative, custom-tailored surgical procedures such as the Mommy Makeover, breast augmentation, abdominoplasty and labiaplasty. For those not yet ready for surgery, Dr. Furnas and Dr. Canales founded Allegro MedSpa, specializing in noninvasive techniques such as dermal fillers, laser hair removal and nonsurgical vaginal rejuvenation. If you are in the Sonoma area and would like more information on Dr. Heather Furnas and Dr. Francisco Canales, contact our office at 707.537.2111. With a second office in Novato, consultations with these award-winning plastic surgeons has never been easier. Our patient coordinator can provide directions or travel assistance to patients coming in from outside of Sonoma or Marin County. Visit Sonoma Magazine to see their full listing of their 2018 Top Doctors.